Tech leaders and politicians from Washington and British Columbia are meeting this Tuesday, aiming to connect Vancouver, Seattle, and Portland. 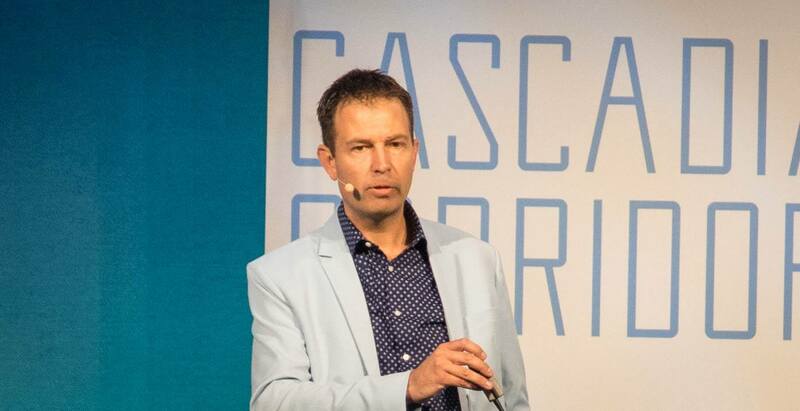 The second annual Cascadia Innovation Corridor Conference in Seattle is focused on transforming the Cascadia region into the new Silicon Valley. At last year’s meeting, former BC premier Christy Clark signed an accord with Washington Gov. Jay Inslee, committing their governments to work closely together on the project. 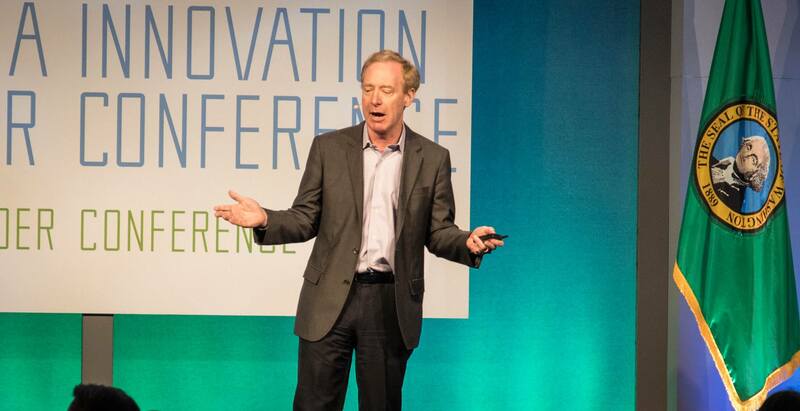 This year’s conference kicked off with a keynote speech by Brad Smith, President of Microsoft, one of the hosts of the event, who has backed the idea from the start. “A year ago it wasn’t just a vision, it really was the beginning of a real discussion and creation of a real plan,” he said. He also said the new provincial government in BC presented an opportunity to make progress in making the Cascadia Innovation Corridor a reality. Smith got a round of applause when he mentioned the Dreamers, immigrants who arrived in the US illegally as children. The Trump administration announced last week it plans to scrap the program giving them temporary legal immigration status. “We as a company did not hesitate,” said Smith. Smith’s keynote was followed by Vancouver entrepreneur and President and CEO of BuildDirect Jeff Booth, who spoke about global changes offering fear – and hope. A range of new initiatives are set to be announced at the second annual Cascadia Innovation Corridor Conference, focused on connecting Vancouver, Seattle, and Portland. Among those is the approval of a feasibility study in Washington state, looking at the potential for an ultra high-speed train between the cities. Meanwhile, other conference speakers include Gov. Inslee and Canadian Parliamentary Secretary to the Minster of Environment and Climate Change, Jonathan Wilkinson. Wilkinson, who is also MP for North Vancouver, will present a “special message” from the Canadian government. However, new BC Premier John Horgan, whose throne speech and budget are currently being debated in the BC legislature, is not attending. In a statement issued in Cascadia Conference handouts, Horgan said he is pleased to see how quickly Washington is moving to link Vancouver and Seattle, especially by train. “We’re stronger when we work together,” said Horgan. “We have the fastest-growing information and communications sector in Canada. Horgan will be represented by Fazil Mihlar, BC’s Deputy Minister at the provincial Ministry of Jobs, Trade and Technology. Meanwhile, Inslee, who is due to speak on Wednesday, said Vancouver and Seattle has a special relationship, which is worth celebrating and growing. Other Metro Vancouver speakers set to take part in discussions include Hootsuite CEO Ryan Holmes and Finger Food’s Graham Cunliffe. Also featured will be University of Washington President Ana Mari Cauce, University of BC President Santa Ono, and BCIT President Kathy Kinloch. The City of Vancouver, TransLink, the BC Tech Association, and Business Council of BC, will also be taking part in the conference, which continues through Wednesday. To watch the conference live, head to the Cascadia Innovation Corridor Conference website: cascadiaconference.com.